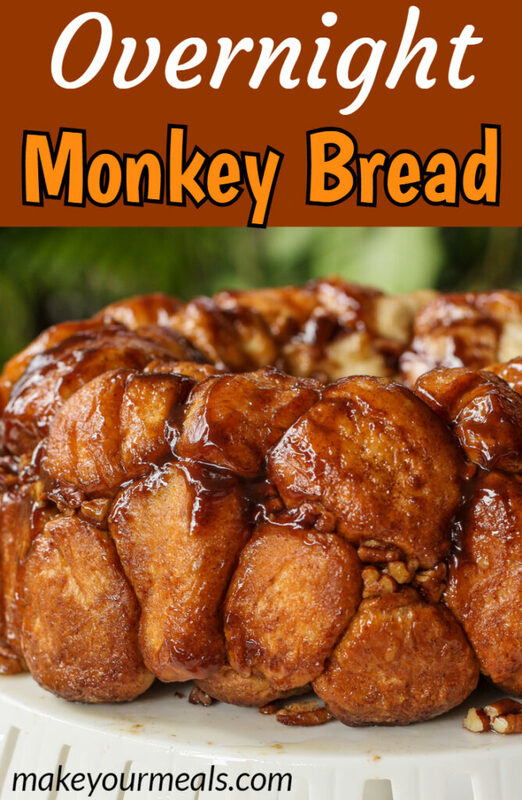 We love to make this Overnight Monkey Bread recipe when we need a quick and easy breakfast treat to feed a crowd. It is absolutely delicious and everyone loves it. Overnight monkey bread served on a platter and ready to be eaten! But what I like most about it is that the only thing that you have to do in the morning is to throw it in the oven. And in about 30 minutes, you ready to sink your teeth into sweet rolls that are coated in a delicious glaze. Not to mention the crunchy pecans that top each roll! They truly are bakery quality! Yes, bakery quality and it only requires 5 ingredients. It doesn’t get much easier than that! 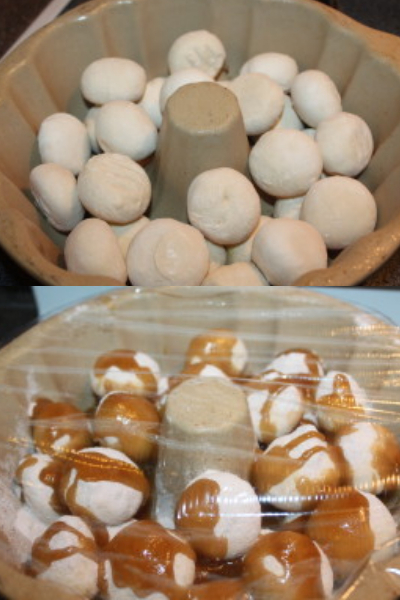 Overnight Monkey bread starts with frozen dinner rolls. Although be sure that you don’t purchase the heat-and-serve rolls. 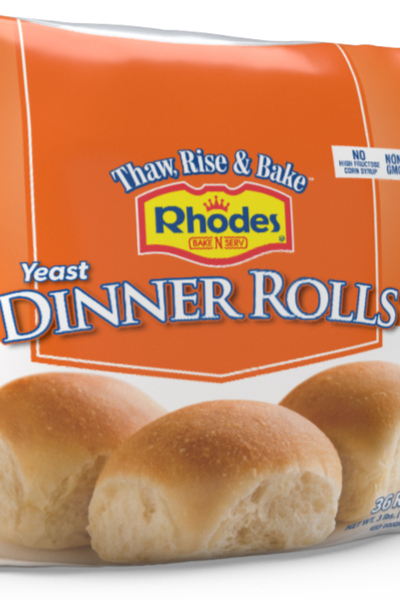 Be sure to purchase Rise and Bake frozen dinner rolls for this recipe. The rolls that you want for this recipe are the rise-and-bake rolls. They are found in the freezer cases at the grocery store, typically stocked by the frozen pie crusts. But don’t worry, you don’t have to thaw them out when preparing this recipe. Simply add the frozen rolls to your pan and let them sit out overnight. They will warm up and more than double in size while you sleep. So what type of pan is best to use for monkey bread? The night before, prepare the ingredients and let them sit overnight to rise. You can honestly use any pan, however we prefer to use a bundt pan. It not only makes for a beautiful presentation, but it also allows the bread to be pulled apart easily from all directions. 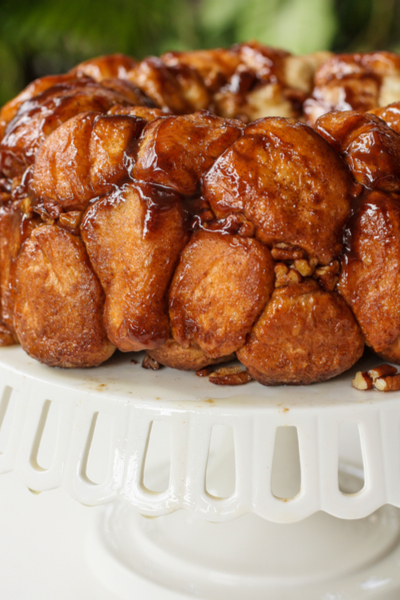 However, if you don’t have a bundt pan, you can also make this overnight monkey bread in a deep dish 9×13 baking pan. In the morning, your rolls will have at least doubled in size. Just remember, that the bread will rise. So be sure to have a pan deep enough to allow for the expansion. 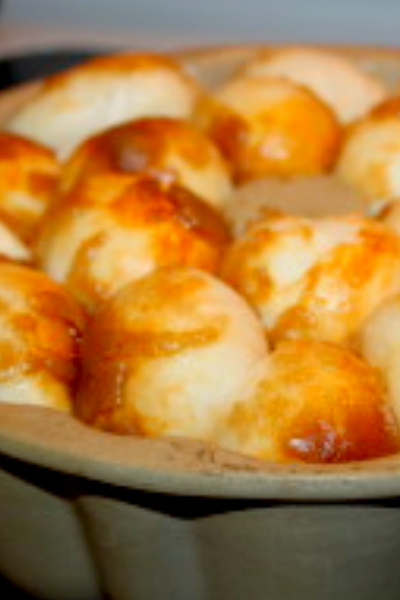 What makes the overnight monkey bread so delicious is the glaze. It is a made by sprinkling butterscotch pudding and then drizzling a simple mixture of butter and brown sugar on top of the rolls. 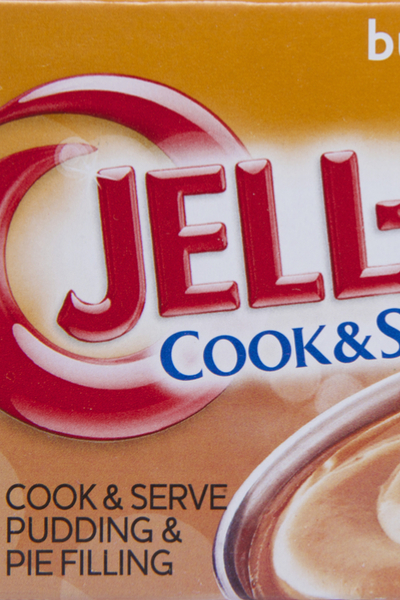 Be sure to purchase the cook and serve type of pudding, not instant pudding! However, it is important not to use Instant Pudding. The butterscotch pudding must be the ‘cook and serve’ type. And no, you don’t make the pudding. You just open the packet and sprinkle the powder on top of the frozen rolls. During the baking process, the glaze ingredients blend together spread on top of the rolls. Be sure to PIN this recipe to your Pinterest board. The only thing left to do after baking is to simply flip the rolls onto a serving platter and pull apart to eat! And if you need another easy to make breakfast recipe, try our Overnight Breakfast Casserole. A delicious pull apart sweet roll recipe that is prepared the night before and baked in the morning. Sprinkle pecans in a greased bundt pan. Place frozen dinner rolls into pan. In a small saucepan melt the butter and stir in brown sugar. Pour over rolls. Cover with plastic wrap and let sit on counter overnight. In the morning, preheat the oven to 350°F. Place a cookie sheet on the bottom rack and then bake the monkey bread on a lower rack for 30 minutes. Remove from oven and let it rest for 5 minutes. Place a large plate over the top of the monkey bread and flip over.